As a HUGE theme park fan, this “mysterious” place was on my bucket list for almost a decade. 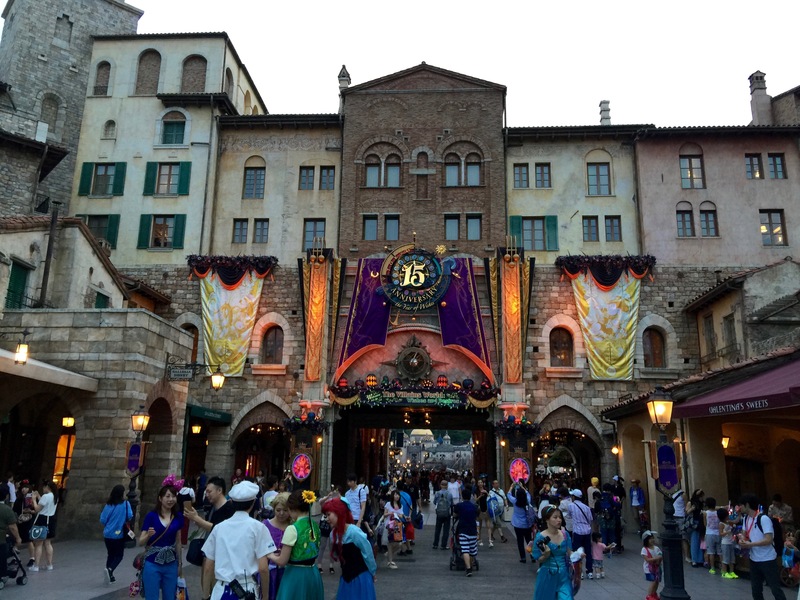 Many claim, it is the best theme park in the world…let me to introduce you to Tokyo DisneySea! After spending 10 hours of discovering all 7 themed areas, I personally don’t think, it is the best theme park, but it’s definitely the most beautiful one ( and most expensive to built ). 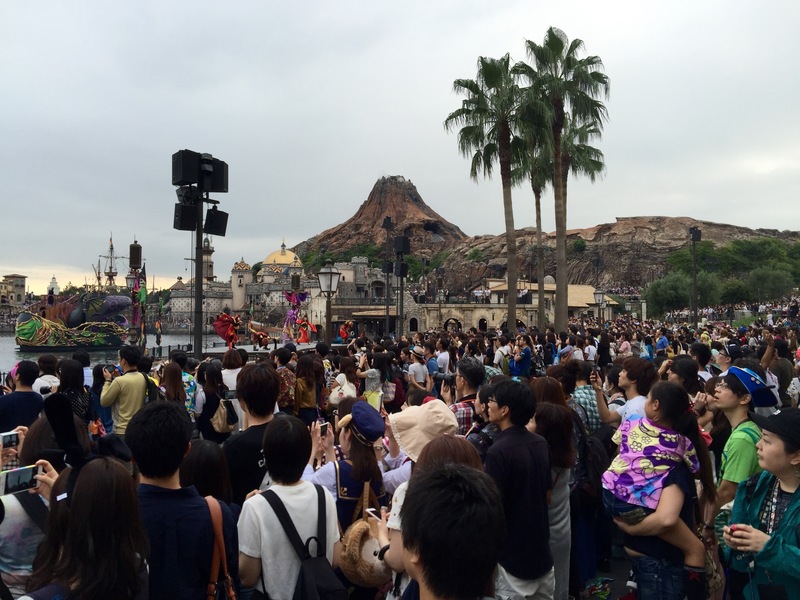 Park isn’t actually owned by Disney Corp., but Japanese Oriental Land Company which “hired” Disney to design a park for them. They even have their own character, it’s called Duffy and he is a Teddy Bear. Before your visit, you need to prepare a small action plan, but nothing too dramatical, as described by some websites or blogs. Yes, it gets unbelievable crowded, but you just need patience and a pair of very comfortable shoes! Now, let me share with you some useful INFO, TIPS & TRICKS based on my observations to enjoy this vast park. Have a magical day! book tickets online prior your visit, on the official WEBSITE, print them and take with you! check the crowd calendar before you go HERE. Avoid weekends and holidays. 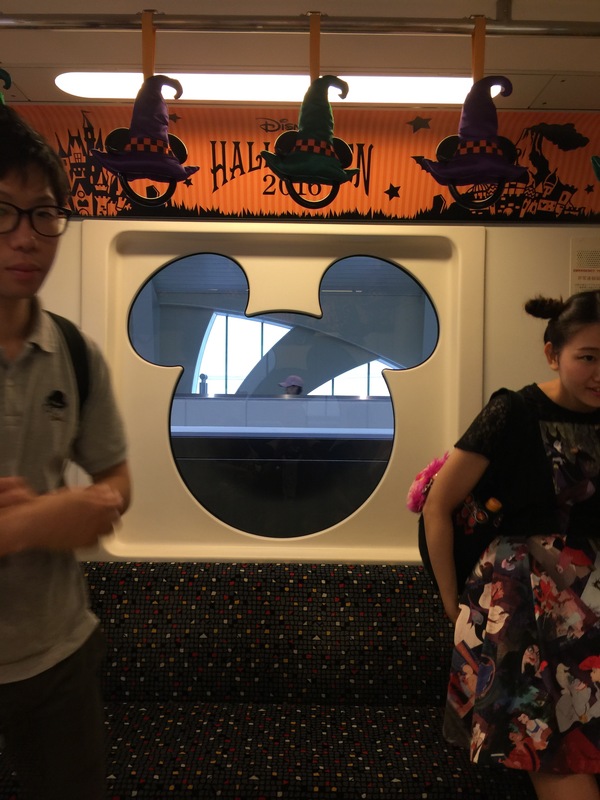 from Shinjuku station you need to change once and after arriving in Maihama ( Disney station) you take a monorail ( extra paid ) to get to DisneySea. Click HERE for access info! Grab an English Map and have a quick look where everything is. Immediately after entering park RUN ( literally) for Journey into Centre of the Earth inside the Prometheus Volcano. It is the parks main attraction. 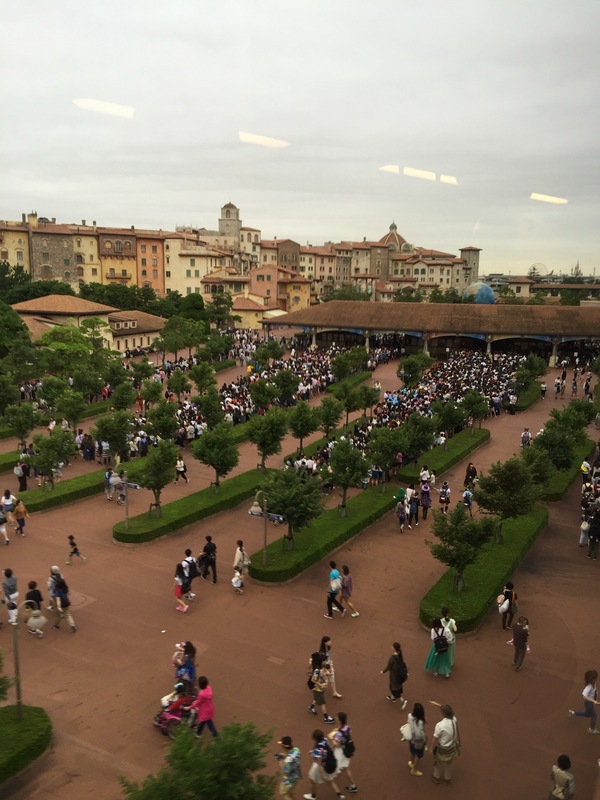 After the ride, RUN to Tower of Terror ( Tokyo version is unique ) and get FAST PASS for later. Go to Indiana Jones and the Crystal Skull Temple ride and use Single Ride queue. I did this ride twice in a row without waiting at all. Choose wisely what you want to go on, as you will get stuck in a queue at some point. I did manage to go on few other rides later in the afternoon with average of 30min wait. Get as many FAST PASSES as you can before they run out. Simply walking around the park is very pleasurable experience on its own, so don’t be sad you didn’t mange to go on all rides. The best fun is to watch the locals…seriously entertaining! It’s almost impossible to recognise who is actually park crew and who is visitor. Disney parks aren’t a Six Flags, so no crazy heart stopping rides. Park has seven themed lands with 26 mostly gentle, but extremely cute attractions. Journey in to the Centre of the Earth, extremely well themed rollercoaster ride. The name says it all. Attraction hidden deep inside the Prometheus Volcano with one surprise drop. Indiana Jones Adventure and Temple of the Crystal Skull is adventurous ride through dark temple with many surprises, fantastic tricks and believable animatronics. It’s one of the few rides with single ride access so you dot need to queue too long. In this “Lost River Delta” land is also a Raging Spirit rollercoaster, but it was closed during my visit. Tower of Terror has unique unexpected twist which really enjoyed. The lift drop feels shorter than in Paris or American versions but still, it’s a really really good FUN. 20.000 Leagues Under the Sea was surprisingly enjoyable “under water” journey thanks to great animatronics and lovely setting. You really feel like under the sea, thanks to the very clever “bubbly ” tricks. Aquatopia is a fun water based ride on “chaotic” moving vehicles. A bit short for my liking, but queue was only 15min long in the afternoon, so why not. You can find it in “Port Discovery” land. Arabian Coast land offers 3 attractions … a classic ride Jasmine’s flying carpet, very enjoyable…it’s a small world style boat ride – Sindbad’s Storybook Voyage and double decker “Caravan” carousel. All set in beautifully landscaped and themed area. Mermaid Lagoon is ideal for the rainy days. Completely indoor kids paradise, themed into Ariel’s kingdom is fascinating, but also fascinatingly overcrowded and noisy. Home of family, kiddies attractions. Area around the Mediterranean Harbour is mostly used as a viewing point for its centre stage lake. 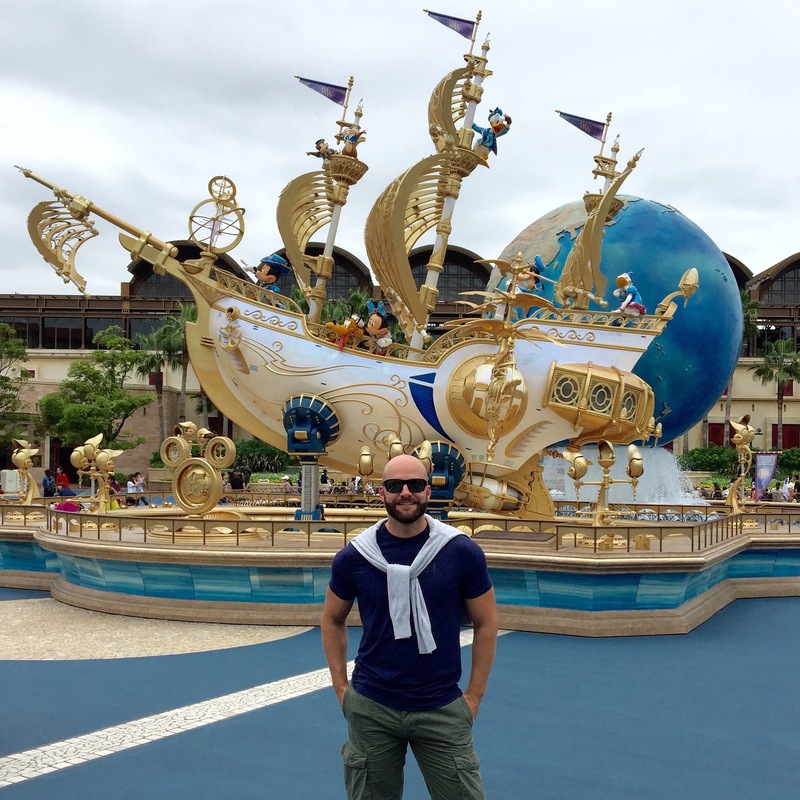 It has a ship and a castle, great for relaxing stroll away from the crowds. Watch some of the shows on the lake, they are quite nice. American Waterfront is all about the fantastic Steam Liner in the background which makes a border between the park and real sea behind. There isn’t anything on the boat itself, but next door is the most popular attraction of the Park – Toy Story Mania. The queue never went under 3hours, so I did pass. Also, Tower of Terror belongs to this land. It’s not easy to find a restaurant, as most of them are pre-booked. Safe bet are two eateries right by the entrance in Mediterranean Harbour. Cafe Portofino and Mamma Biscottis Bakery. Always cary a small pet bottle with you and re-fill from water fountains in the queuing lines. Good options are Set Menus with drink and desert in the Portofino restaurant. Bring snacks with you ( bars, nuts, sweets ) to enjoy them while queuing. 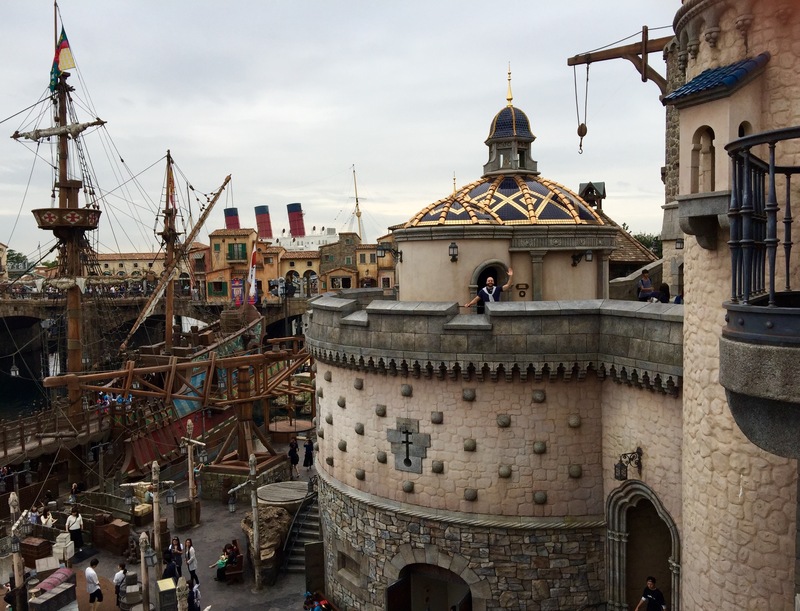 Tokyo DisneySea it’s an incredible place. If you are a Disney fan, you must see it. It is very tiring, but the experience and memories will last forever. Previous Post: DUBAI PARKS & RESORTS : Delayed openings – will it be worth the wait?